Mumbai: Attributing rising bad loans to business cycle, the Reserve Bank of India on Tuesday said that non-performing assets (NPAs) are not posing any threat to the banking system. 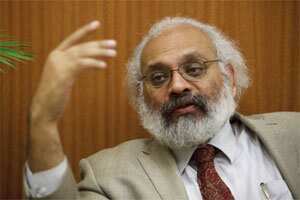 He attributed the rise in NPAs to various domestic and international reasons. “There is an overall business cycle movement. There is overhang from the previous shock of 2008-09...," he added. Non-performing assets of state-owned banks have increased to 2.31% of their assets at the end of March 2011, from 2.27% in the year-ago period. Amid concerns of rising NPAs in the banking sector, the country’s largest lender SBI had put in place a separate mechanism to contain them. SBI’s NPAs had reached a three-year high of 3.52% of loans in the quarter ended 30 June. On RBI’s decision to deregulate the savings account interest rates, Gokarn said the move would increase competition among banks for retaining customers. Earlier, banks were mandated to give 4% interest rates on such deposits, but with the freeing of rates, several private sector lenders, like Yes Bank and Kotak Bank, have hiked rates to 6%. “We did it at a time when banks are not grappling for deposits. The deposits are quite quite healthy. The gap between deposit growth and credit growth is quite narrow now," Gokarn added. Referring to inflation, he said, the structural drivers of inflation are still strong and the RBI expects it to remain high through October and November. The government is yet to announce the inflation data for October. Headline inflation stood at 9.72% in September. Besides, food inflation, which account for over 14% in the overall inflation basket, stood at a nine-month high of 12.21% at the end of 22 October. “The structural drivers of inflation are still very strong. ..The fact that food inflation will remain high despite good monsoon is something that will shape our view on growth inflation balance for sometime to come," he said. In its mid-year monetary policy, the RBI had said it could halt rise in key interest rates provided the inflation cools down.